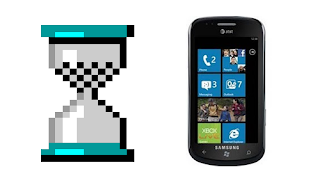 We have had many users ask us when the Windows Phone 7 app will be available and our response for the last month or two has been 'any day now'. Unfortunately, it is still not available today. As a team that prides itself on trying to be quick to deliver LastPass on the newest platforms and devices, we feel like we owe an explanation to all users who have been eagerly waiting. As you might already know, Windows Phone 7 is nothing like the previous Windows Mobile devices. They changed everything, including the distribution model for apps. All installs must go through Microsoft (similar to Apple's control of iPhone apps) and all apps must be first approved. This is where the major holdup has been. LastPass hasn't received much help during the submission process. Attempts to inquire about more details regarding app rejection were unhelpful. That makes fixing problems difficult when we are unable to reproduce on our test device. We were also told we would have to pay money to talk to an engineer about bugs we believe are their own. But as long as we think we are making progress, we will continue to submit and push forward. Stay tuned!